During the Canowindra Balloon Challenge, the town receives over 10 thousand visitors to see the balloons. The wide open spaces, ideal weather conditions, and friendly local people make this an ideal area for hot air ballooning. The event in 2018 will be run over 8 days during the NSW school holidays, 21st to 29th April 2018. The Australian National Field Days (ANFD) is the oldest annual agricultural exhibition in the country. Established in 1952, the ANFD continues to offer visitors a unique insight into the future of agriculture with the commitment to Advancing Australian Agriculture. More than 600 exhibitors travel to the Borenore site (15kms west of Orange, NSW) from all over Australia and internationally to display their products and services during the three-day event. The Orange Wine Festival celebrates the region's wines and its producers. The festival will have over 90 events including Orange Wine Show Tasting, Wine in the Vines, The Vino Express and the Festival Night Market as well as range of events provided by the region's producers and restaurateurs. Over 60 stalls with award-winning wines from the Orange Wine Region and paired with the finest cuisine prepared by local chefs and cooks using local produce. The festival’s latest signature event an exclusive and all-inclusive packaged weekend of premium wine and food experiences in Orange. Includes 2 nights accommodation, sparkling Vino Express breakfast, behind-the-scenes wine tastings at cellar doors, local fine-dining experiences, a bonfire BBQ and more. You'll need to book the moment tickets are available. Be driven on a day tour to meet the region's winemakers and be given an exclusive insight into how some of Orange’s best cool climate grapes go from vine to wine. Tour includes brunch, lunch, matching wines, transfers and a bottle of the local wine. Mooorbel Markets - First Saturday 8am to 12pm. Wentworth Main Mine Open Day Mitchell Highway Lucknow Ph 026393 8170 Email museum@oange.nsw.gov.au www.wentworthmine.orangemuseum.com.au Open first Saturday and Sunday of each month 10 am to 2.30 pm Entry Adults $2.00. Children, students and pensioners free. Orange Region Farmers Market North Court behind Orange Regional Art Gallery, 149 Byng St, Orange Ph 0418 654 226 Email manager@orangefarmersmarket.org.au www.orangefarmersmarket.org.au www.facebook.com/OrangeFarmersMarketNSW/ 2nd Saturday of each month 8.30am to 12noon Entry gold coin donation. Orange and the region celebrate the Banjo Paterson Australian Poetry Festival in February every year. 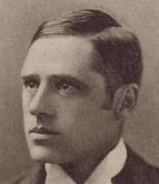 Andrew Barton (Banjo) Paterson was born at ‘Narrambla’ Orange on 17 February 1864. Food and soft drinks are available on site. There will also be a courtesy bus running on the hour to take people into Orange to shop or look at the sights. Entry Adults $2.00. Children, students and pensioners free. 2nd Saturday of each month 8.30am to 12noon.